Founder of the Latter Rain Assembly, Pastor Tunde Bakare has highlighted 10 components of restructuring, citing examples of those championing each. 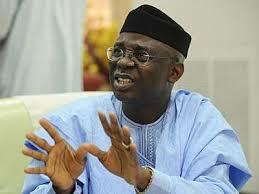 Bakare broke down the restructuring setup that many prominent Nigerian leaders have given credence to as the way forward for the country. The former presidential candidate disclosed this at the Headquarter of his church in Lagos on Sunday, October 1, to mark Nigeria's 57th Independence anniversary. Below is the full speech titled: "Pragmatic Steps Towards Restructuring Nigeria"
Fellow citizens of Nigeria, Happy Independence Day to you all. At crucial moments such as this, I have, by the grace of God, stood on this platform to bring timely admonitions to our beloved nation. I stand here once again at this defining period in the evolution of our nationhood to bring the mind of God to a nation in the valley of decision. I stand here today as a patriotic citizen of Nigeria, as an ardent believer in her great future, and as an unrepentant optimist in the God-given potential of the Nigerian people to surmount the present challenges and build a great nation. Let me begin this address with gratitude to God for the recovery and return of our dear President Muhammadu Buhari. As I have done privately, I once again congratulate Mr President on this pleasant climax to a trying period in his personal life and that of the nation. Together with all well-meaning Nigerians, I pray for a continuous supply of health, vitality and wisdom as he resumes his duties. Let me also use this opportunity to commend the vice president, Prof. Yemi Osinbajo, who, as Acting President, courageously held the fort and steered the ship of state with grace and skill on behalf of his principal. Furthermore, I congratulate the nation on the victory of constitutionalism over conspiracies. The correspondence between the president and the National Assembly in line with section 145 of the constitution each time the president left to attend to his health indicates some progress in our democratic experience, compared with almost eight years ago when a cabal hijacked power in circumstances bordering on the health of a sitting president. In this regard, credit must be given to President Muhammadu Buhari for his compliance with due process, and to the leadership of the National Assembly, including the Senate President, Senator Bukola Saraki, and the Speaker of the House of Representatives, Honourable Yakubu Dogara, for making the most of the constitution despite its flaws. This evident growth is a shimmer of hope at a very sensitive period in which the destiny of the nation is at stake. Undoubtedly, Mr President has returned to a nation hanging in a precarious balance. Indeed, our nation is enmeshed in a prolonged war against the retrogressive effects of a structure that was created by the fear of the past, has become institutionalized by the fear of the present, and is being perpetuated by the fear of the unknown. These fears have morphed into a horde of agitations which, in an address upon his return in August, Mr President charged aggrieved persons to channel to the National Assembly and the Council of State. However, due to the reputation that members of the hallowed chambers have created in the minds of Nigerians, many have expressed doubts as to the ability and willingness of the National Assembly to midwife the structural, institutional and constitutional solutions demanded by Nigeria’s historical and present circumstances. As a result, Nigerians from all walks of life are questioning Mr President’s recommendations as to proper channels for agitations, even though the National Assembly and by extension the State Houses of Assembly are the only available constitutional avenues for making peaceful change possible and violent change inconceivable. We can only keep hope alive by reminding ourselves that the National Assembly has, in the past, risen to the occasion and intervened at crucial moments such as this. From the decisive death blow dealt the third term agenda of the then president, Chief Olusegun Obasanjo, by the 5th National Assembly, to the doctrine of necessity invoked by the 6th National Assembly, the 8th National Assembly has sufficient precedents on how to act in the best interest of Nigeria. We believe that the distinguished and honourable lawmakers will rise to the occasion and work closely with the president to pilot Nigeria into stable and prosperous nationhood. Having laid the foundation of the need for legislative responsibility, I must state that, as far as championing the far-reaching structural, institutional and constitutional changes necessary to salvage the soul of our nation is concerned, the words on the desk of the 33rd president of the United States, Harry Truman: “THE BUCK STOPS HERE!”, are relevant to President Buhari whose legacy is at stake. Mr. President, the buck stops at your desk and, as always, my earnest prayer is that you find the courage and political will to do what is right at this momentous period in the history of our nation. Against this backdrop, we shall now examine the latest buzzword in Nigeria’s political lexicon with a view to distinguishing the noise from the voice, separating the wheat from the chaff, and presenting practical steps towards building a strong and stable nation. Some years ago, the word “restructuring” was the exclusive lingo of pro-democracy groups like the National Democratic Coalition (NADECO), the Pro-National Conference Organisation (PRONACO), and The Patriots. The leading individual voices in this call emerged mainly from the southern part of the country, including the likes of Chief Rotimi Williams, Chief Gani Fawehinmi and Chief Anthony Enahoro, all of blessed memory. Others included the likes of Prof. Ben Nwabueze, Prof. Wole Soyinka and Chief Emeka Anyaoku. However, in more recent times, leaders from the northern part of the country have increasingly lent their voices to this call. From former vice president, Alhaji Atiku Abubakar, who has aired this opinion since around 2012, to a former governor of Kaduna State, Alhaji Balarabe Musa, and, most surprisingly, former Head of State, General Ibrahim Babangida, the call for restructuring appears to be reaching a tipping point. Nevertheless, in spite of the fact that the restructuring of the polity is implied in the manifesto of the All Progressives Congress (APC), the government has, for a long time, been silent on the matter and has, very often, drawn the attention of Nigerians back to the tripodal policy agenda of President Buhari, namely, anti-corruption, security, and job creation through diversification. However, after much evasion, the APC, two months ago, eventually constituted a ten-member committee headed by Mallam Nasir El-Rufai, the current Governor of Kaduna State, to address the increased agitation for restructuring. As we await the submission of that committee, I acknowledge that some opponents to the call for restructuring, including serving officials, have ascribed ulterior selfish motives to those calling for it. Moreover, the hue and cry over President Buhari’s address to the nation on August 21, 2017, suggests Mr President is perceived by some stakeholders as opposed to restructuring. But, from my interactions with the president in the past seven years as an advocate of a properly structured polity, I am convinced that this is not the case. Not only does the president want agitations managed through appropriate constitutional channels, he also wants a clarification of demands in concise terms, as well as propositions on practical pathways towards achieving those demands. That is the essence of this address and I believe that Mr President’s expectations are valid. However, before I proceed to elucidate on the practicalities of restructuring, permit me at this juncture to cast our minds back to our consistent calls for the restructuring of the polity, long before the current bandwagon effect. In 2010, the Save Nigeria Group (SNG) presented a “Contract to Save and Transform Nigeria” to President Goodluck Jonathan which, among other demands, made a case for devolution of powers, called for a review of the revenue formula, and advocated the convocation of a national conference towards the creation of a draft constitution that would be adopted through a referendum. Following the inaction of the government, we subsequently convened a Dialogue of the Nobles attended by Donald Duke, Mallam Nasir El-Rufai, Dr Ngozi Okonjo-Iweala, Mallam Nuhu Ribadu, Dr Oby Ezekwesili, and Fola Adeola, among others. As part of a series of dialogues, in a bid to seek the best of the North and the best of the South as an alternative to the then incumbent administration, we also engaged the major candidates ahead of the 2011 elections in search of commitment to the restructuring of the nation, among other desirables. General Muhammadu Buhari stood out among the available contenders and, on October 10, 2010, we expressed our conviction that he was best suited to lead. On January 15, 2011, I was invited by General Buhari to be his running mate and I initially declined because I had engaged the polity not with the intention to contest elections but to midwife genuine national rebirth. My eventual acceptance was contingent on the mutual understanding that the restructuring of Nigeria would be top on the agenda. This was reflected prominently in the manifesto of the Congress for Progressive Change (CPC) in which we promised the initiation of “action to amend our Constitution with a view to devolving powers, duties and responsibilities to states and local governments in order to entrench Federalism and the Federal spirit”. This provision subsequently made its way into the APC manifesto. In 2014, we took our demands for restructuring to the National Conference, where a case was made for a unicameral parliamentary system of government to reduce the cost of governance, and for a federal structure comprised of a strong central government with six geopolitical zones as federating units. In addition, we sponsored a Nigerian Charter for National Reconciliation and Integration as the basis of our union as a nation, as against Decree 24 of 1999 by which the current constitution was promulgated. Following heated debates, in the spirit of trustful give and take, the conference adopted a modified presidential system that would harness the separation of powers inherent in the presidential system, while guaranteeing the needed cooperation between both arms of government as intended in the parliamentary system of government. We recommended the selection of the Vice President from the legislature and advocated the institutionalization of the principle of zoning in the Electoral Act. Furthermore, the Nigerian Charter for National Reconciliation and Integration was unanimously adopted. This address will use the propositions at the National Conference as a springboard but will necessarily include bolder and more far-reaching recommendations given the current state of the nation. Rather than pay heed to the warnings, many of our politicians kept on with their “business as usual” attitude that brought the nation very close to the brink of disaster. Fortunately, by divine intervention through the efforts of distinguished Nigerians, the international community, and through a demonstration of statesmanship unprecedented in Nigeria’s history, we scaled through the 2015 elections by a hair’s breadth. Mindful of our narrow escape and the festering socio-political and economic challenges, soon after the inauguration of this administration in 2015, we submitted to Mr President an extensive document that called for a Presidential Commission for National Reconciliation, Reintegration and Restructuring comprised of eminent Nigerians, and guided by the Nigerian Charter for National Reconciliation and Integration which was adopted by the 2014 National Conference. Our submission anticipated the need to reconcile contentious interest groups, foster the integration of the diverse sectional groups into true nationhood, and facilitate the evolution of an acceptable functional governmental structure for Nigeria. We proposed that the new structure would be contained in a new constitutional framework which would come into effect by way of an executive bill to be submitted to the National Assembly by Mr President and decided upon by the Nigerian people through a referendum. All our efforts have been inspired by our belief that, as a nation, we are better off together and should find acceptable ways to stay together. We are driven by an urgent responsibility to find, within the constitution, pathways to a perfect union. Having laid this background we shall proceed to further simplify the seemingly complicated but, indeed, simple concept of restructuring. We shall now examine these positions and then proceed to present our prescription on the way forward for Nigeria. These are those demanding amendments in certain aspects of the constitution that have no direct bearing on the structure of governance. They include young people advocating a reduction of the age qualifications into certain political offices through movements such as Not Too Young To Run; they include advocates for such affirmative action that reserves a percentage of political offices for women; they include those advocating the removal of the Land Use Act from the constitution, as well as those advocating the separation of the office of the Attorney General of the Federation from that of the Minister of Justice, and so on. Political System Reformists make a case for such constitutional changes that include a unicameral, rather than a bicameral, legislature to reduce the size of government. Others prescribe part-time legislature while some make a strong case for the parliamentary system of government or, as the 2014 National Conference resolved, a modified parliamentary system. These are multi-state federalists making a case for ceding more powers to the federating units even if such units are the current 36 states. Many of the current advocates of restructuring, including former vice president, Alhaji Atiku Abubakar, belong to this school of thought. The devolutionists envisage a constitution with a leaner exclusive legislative list, a more robust concurrent list, and a workable residual list. Also on the agenda of the devolutionists is the review of the revenue sharing formula in favour of the states and local governments. At the last National Conference, 18 demands for state creation were approved, taking the possible number of states in the nation to 54. Some advocates are regionalists deploying multi-state strategies in the quest for an equitable allocation of resources to the respective regions from the centre, including the leaders of the South-East calling for one more state so each region would have six states apiece except the North-West, which has seven. The Middle Belt states seeking regional autonomy from the North-Central also fall into this category. They recognize that, given the current revenue allocation system, the more states a region has, the more allocation goes to that region or geopolitical zone. Other advocates of state creation are motivated by the need to give geographical expression to ethnic identities. This is a more radical group that swings between devolution and secession. They include the Niger Delta activists and militants demanding outright resource control, which is the exclusive right to regulate the exploitation of resources in a geographical area. Their clamour simply reminds us that we need a more pragmatic resource distribution and management system. The Regional Federalists argue not only that the current system falls short of true federalism, as the devolutionists point out, but also that the vast majority of the current 36 states are not viable. Recent reports indicate that Lagos State, where the commercial activities of Nigeria are concentrated, generates more internal revenue than 32 states combined. This school of thought, therefore, makes a case for the integration of states along geopolitical zonal lines to create economies of scale. A number of options have been thrown up as to the possible number of zones but the six geopolitical zonal formula featuring the North-West, North-Central, North-East, South-West, South-South and South-East, has been the most advocated. Proponents envisage a strong central government catering for matters like defence, foreign affairs and monetary management, with six strong zonal federating units having concurrent legislative powers in such matters as policing, mineral resource management, electricity generation, and transportation. Groups such as Afenifere are inclined in this direction, taking a cue from the 1963 Constitution. These also advocate a regional or geopolitical zonal arrangement. However, advocates of confederacy prefer a weak central government and strong regional governments with each region having its own army and as such able to defend itself in cooperation with other regions. These are those calling for Biafra Republic, Oduduwa Republic, Arewa Republic, Ijaw Republic, Ogoni Republic and so on. This is because sectional identities have survived independence and are still reflected in our social interactions and intensified by perceptions of marginalization. Decades after the civil war, we are yet to forge true nationhood and Nigerians still tend to think of themselves as Yorubas, Igbos, Hausas, Fulanis, Kanuris, Tivs, Idomas, Nupes, Ijaws, Edos, Urhobos, and so on, within the Nigerian state. Some of the ongoing calls for restructuring are motivated by the aim of finding geographical expressions for these sociocultural identities. Although we can compel statehood by the show of force, we cannot force true nationhood into existence. A relationship cannot be legislated; it can only be cultivated. Nationhood can be built only through good and equitable governance. Therefore, those asking for the opportunity to negotiate their existence within the Nigerian state based on their ethnic or cultural identities have a right so to do, as captured in international legal instruments such as the International Covenant on Economic, Social and Cultural Rights, to which Nigeria is a signatory. However, these negotiations must be handled with decorum and all the sensitivity required so that the Rehoboams in the polity do not play into the hands of the Jeroboams and push the nation from bad to worse as it happened to Israel of old (I Kings 12:1-24 & 14:1-11, 14). As for those calling for secession, they should bear in mind the fact that, before the creation of the Nigerian state, there was no Yoruba nation, there was no Igbo nation, there was no Hausa nation, neither was there an Ijaw nation. We must not be misled by nostalgia for a spurious harmonious past or the myth of homogenous ethnic groups that is far removed from reality. The area around the Niger was marked with unrest, continuous intergroup conflict, subjugation, enslavement and oppression of the weaker by the stronger until Nigeria provided the possibility for peaceful coexistence. For this, we must appreciate the Nigerian state, we must celebrate our Nigerian-ness and we must gravitate towards strengthening our nationhood rather than cursing our blessing. Be that as it may, there is no doubt that the current structure cannot hold the greatness that awaits the nation but could hinder it. The demand, however, should not be for secession. The question should be: How best do we organize ourselves for equitable, peaceful and productive coexistence? This takes me to our position on the pathway to a stable and prosperous Nigeria. Each of the schools of thought on restructuring reminds one of the stories of blind men who visited a zoo to “see” an elephant. One grabbed its trunk and concluded the elephant was like a snake. Another touched its ear and concluded the elephant was a fan. A third touched one of its legs and concluded the enormous animal must have been a pillar. Rather than resolve that they were all wrong, we believe there is a measure of wisdom in the various perspectives and that, like a jigsaw puzzle, the bits must be put together to achieve the desired objective. For those who care to know where I stand in all this, I am an advocate of progressive and pragmatic restructuring; progressive because ours is a long-term approach, and pragmatic because the interests of every segment of the country are taken into consideration. It is to this end that we reiterate, and even expand the scope of, our call for the creation of a Presidential Commission for National Reconciliation, Reintegration and Restructuring by the president through an executive order, in full consultation with the Council of State and the National Assembly. The Presidential Commission should be given the mandate and the powers to facilitate, within ten years, the evolution of a functional and acceptable geopolitical structure subject to constitutional provisions while the 1999 Constitution is progressively amended. This Commission shall undertake a geoeconomic and geosocial path to geopolitical restructuring by creating geoeconomic frameworks, mending geosocial faultlines, and attaining a geopolitical climax. The Nigerian economy is clearly regional in structure with comparative advantages defined by climate, geology, biogeography, population and culture. It is why, in the era of the regions, even though agriculture and mineral production were the mainstays of the economy, there were areas of specialization. The national infrastructural development thrust will thus be managed by the federal government in conjunction with the Zonal Commissions and the state governments towards ensuring seamless linkage. While the economic component of the restructuring agenda is being implemented, the geosocial component, which calls for a resolution of the inter-zonal and intra-zonal aspects of the Nigeria Question, should be immediately activated. This will entail harnessing the collective strengths of statesmen and nation builders across the nation to reconcile historical and current grievances and to reintegrate the diverse components of our nation into united nationhood. The details of this component are beyond the scope of this address but are contained in the framework for a Presidential Commission for National Reconciliation, Reintegration and Restructuring. The climax of the work of the Presidential Commission will be to codify the geoeconomic and geosocial outcomes and facilitate their evolution into vibrant geopolitical zones as federating units, each with rich sociocultural expressions and viable, world-class economic clusters, all knit together by a strong federal government. The geopolitical zones will have the power to organize the constituent states and local governments as districts and counties based on the models created by the geoeconomic and geosocial aspects of the process. By the tenth year, the codified outcomes will be presented to the president who, in conjunction with the National Assembly, will have, within the ten-year period, championed the necessary constitutional amendments for progressive development of good governance, including allowing for a referendum in which the Nigerian people will eventually adopt the framework as a new constitution for a New Nigeria. The proposed ten-year transitional window is expected to kick in from 2018 to 2028. I understand that this translates to the administration of at least two, or at most four, presidents spanning three election cycles. Therefore, if the policy is flagged off by the current administration, there is the clear danger of policy discontinuity unless the process is institutionalized. However, the 1976 Abuja Master Plan offers an example of collaboration and continuity spanning fifteen years and five administrations. In the early 1970s, the Nigerian government began to mull the idea of relocating the federal capital from Lagos. It felt that the capital had become congested in terms of population and available land. It sought a new capital that would be sited in the centre of the country, thus providing a surer guarantee of security and ensuring a more balanced representation of the country’s ethnic and religious diversity. To this end, in 1976, the government of General Murtala Muhammed identified a site for the proposed new capital and established the Federal Capital Development Authority (FCDA) to mastermind the process. Policy execution of this restructuring spanned the administrations of General Olusegun Obasanjo, President Shehu Shagari, General Muhammadu Buhari and, eventually, General Ibrahim Babangida under whose watch the relocation phase commenced in 1991. The following points should be noted in the quest for sustainability. Finally, we expect subsequent holders of public office at all levels of government to demonstrate the desired political will, drawing lessons not only from the Abuja story but also from more recent policy transitional success stories, including the Integrated Payroll and Personnel Information System (IPPIS), the Government Integrated Financial Management Information System (GIFMIS), and the Treasury Single Account (TSA) which were enacted by the preceding administration but are being implemented by the current government. Recently, the Minister of Finance, Mrs Kemi Adeosun, was reported as stating that the Nigerian economy has struggled so far because it is not structured to meet demographic needs. She, therefore, cited, as regards respites, the government’s policies aimed at diversification from an oil-based economy. However, I am confident that the success of its diversification programme is dependent on the ability of the government to embrace the zonal geodemographic nature of the economy as we have spelt out in this proposal. This entails a revisiting of existing plans and policies including the Medium Term Expenditure Framework (MTEF) and the Economic Recovery and Growth Plan (ERGP). I believe that as we adopt these proposals and take these steps towards building a new nation, we will see breathtaking economic miracles. With the world transiting from crude oil, the northern zonal economies will become hubs of sustainable energy harnessing solar power and biomass while deploying solid minerals like lithium in the emerging electric automobile industry. Meanwhile, the southern zones will harness the huge gas reserves while optimizing the vast coastal waters for wind turbines. The president, the National Assembly, the Judiciary, the state governments, the State Houses of Assembly, the Council of State, political parties, the private sector, and the generality of Nigerians all have a critical role to play in initiating, implementing, sustaining and defending the process and its outcomes. We must think, not as sectionalists but as nationalists; not as sceptics who only see obstacles, but as optimists, who see opportunities; not as politicians, mindful only of the next election, but as statesmen mindful of the next generation. By the grace of the Living God, who calls those things that be not as though they are, and according to the proportion of my faith in Him who cannot lie, I call forth today, the 1st of October, 2017, the New North and the New South to come together to the table of brotherhood and negotiate the destiny of a New Nigeria with mutual respect and trustful give and take void of mutual suspicion. Thank you, God bless you, and God bless our country, Nigeria.